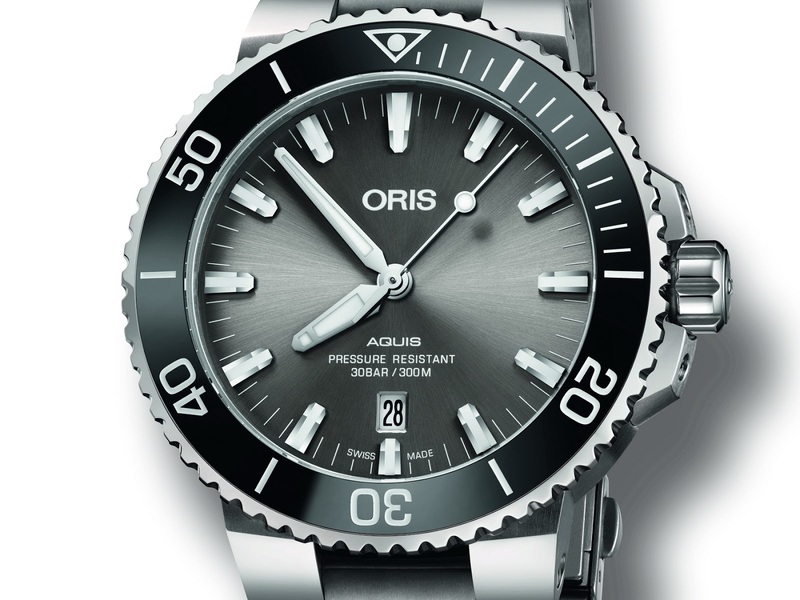 Oris has turned to Grade 2 Titanium for this new version of the Aquis. 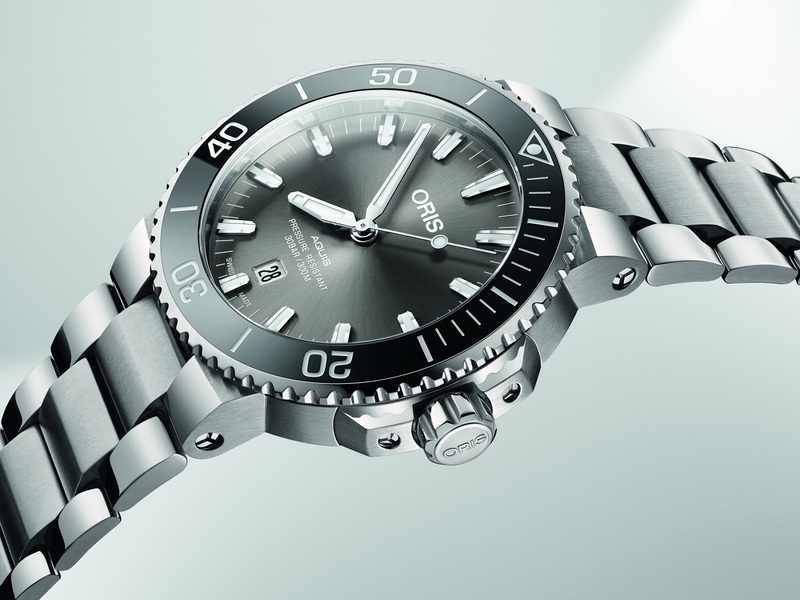 The new Aquis Titanium Date uses Titanium for its 43.5mm multi-piece constructed case, bezel, case-back as well as its bracelet, creating the lightest and most high-tech Aquis in the current collection. I don’t need to tell you about the virtues of Titanium – we know it’s a hypoallergenic material that is both lighter and stronger than Stainless steel but does it really hold up any better or worse than steel? Most say worse. The problem arises from the layer of oxidized Ti that builds up on the metal’s surface – this forms a kind of powdery like coating giving it an appealing brownish matte finish. Unfortunately this coating is easily scratched. 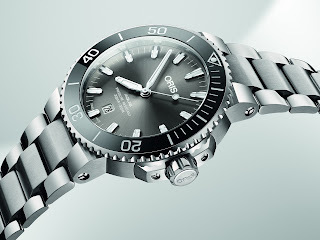 Titanium particularly Grade 2 can end up looking pretty shabby after a year or so of wear which is why high-end diver’s models using Titanium tend to opt for Grade 5 which holds up much better. Usually watch manufacturers keep it buttoned up when they release a watch in the lower-grade G2 Ti, only stating Titanium. 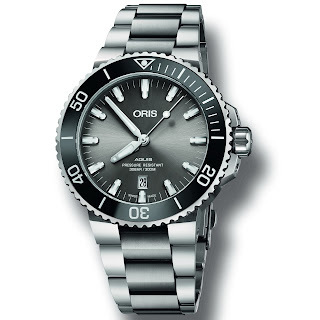 I digress – with its Sunray grey dial the watch still looks pretty damn nice. Power comes from an Oris Cal. 733, based on a Sellita SW 200-1. 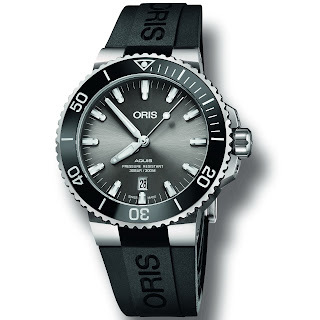 Its Swiss MSRP is 1900CHF on rubber or an additional 250CHF if you want it on its Titanium bracelet. You like?